Scott Stallings was a shot back of Sang-Moon Bae after a 67 in the first round. Sometimes it only takes one swing to turn it all around. 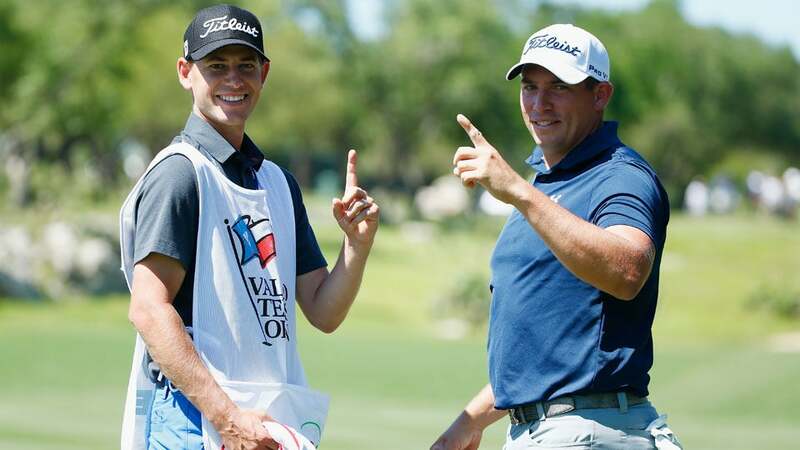 PGA Tour veteran Scott Stallings has missed the cut in each of his last six starts, but that streak is in serious danger at the Valero Texas Open thanks in part to a single stroke. Opening on the back nine at TPC San Antonio, Stallings arrived at the 200-yard par-3 13th at 2 over par for the tournament. He landed his tee shot on the green just short of the pin and it took one big hop and slammed right into the cup for a hole-in-one, dropping him to even par, right on the projected cutline.